Show times are listed as being at 6:00pm (unless otherwise noted) on Saturday and Sunday during the festival — which runs from February 9th, 2019 through May 5th, 2019. This list currently only covers the first six weeks of the festival (SeaWorld is kind of secretive like that)… as we get more info about the schedule, we'll create a "part two" list. I'm so used to only adding "Epcot" concert series info to the Mealtrip site that I'm almost giddy with excitement to be adding this list for SeaWorld Orlando's 2019 Seven Seas Food Festival Concert Series! These aren't the tiny 30 minute shows that you'll see at other parks… the SeaWorld's concert series feature one, long format show per day — just like a real concert that you might go to outside of a theme park! Why is this cool? Well it's the concert format that most artists are familiar with and it gives bands a chance to dig down and maybe play some of your favorites instead of that one top-10 song three times a day. For example, Sugar Ray fans… yes, there's a good chance you'll hear "Answer The Phone" and not just "Every Morning" 15 times in a row (not that there's anything wrong with that, I'm just sayin'). The concerts (which are located in the outside, but mostly covered, Bayside Stadium) are free for those guests in the park on any given concert day. There are usually one or two special tiers of ticket available though that will get you a closer seat. Click Here for a direct link to the official SeaWorld site for the most up to date information about the availability and pricing of those packages. Don't know who some of these groups are? Just click on the name below, and we will link you to their site (or YouTube video) in a new window. 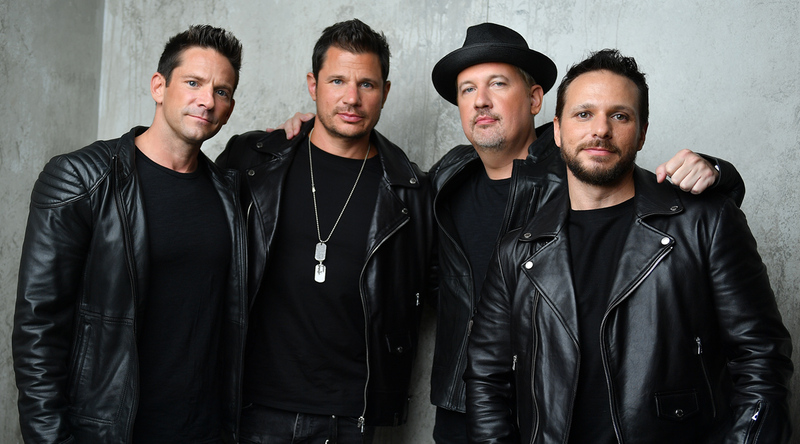 98 Degrees plays SeaWorld Orlando's Seven Seas Food Festival on Sunday, February 24th, 2019. Check out our SeaWorld Orlando Seven Seas Food Festival Page where you will find this schedule — and all of our posts about the annual festival.